In the summer of 2013, the artist collaborative ‘Rhynie Woman’ received a grant from the Huntly Cultural Fund to provide a pop-up hub with a coffee and souvenir shop and community museum, to run alongside the Rhynie excavations [see feature on p.22]. 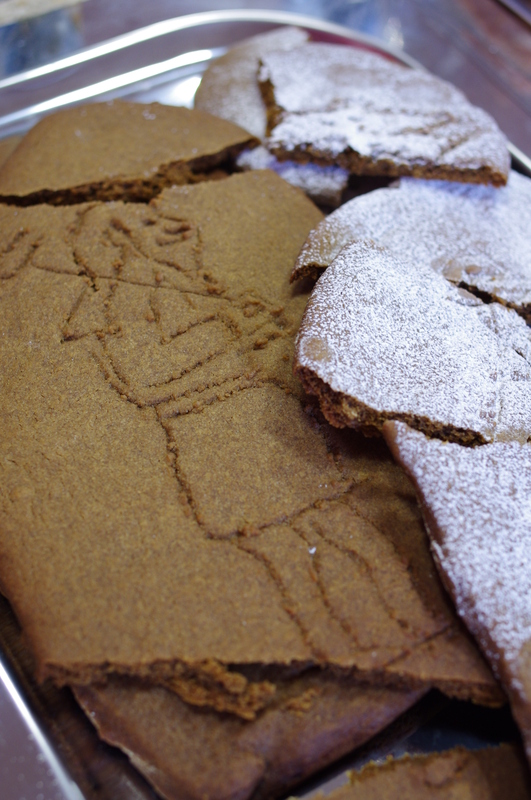 We wanted to engage the locals, entice tourists, and nourish the diggers, so among our archaeological-themed goodies were radiocarbon date squares, and (pictured) the Rhynie gingerbread Man, which was made using a cookie-cutter created by the Scottish Sculpture Workshop. This edition of edible archaeology appeared in issue 289 of Current Archaeology.